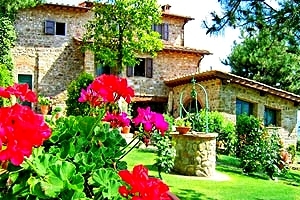 Our agency in Florence presents a wide range of villas in Florence for you to have wonderful vacations in Tuscany . 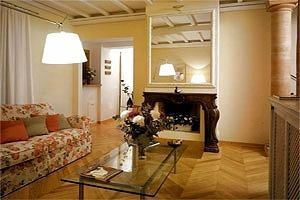 Elegantly furnished, refined, situated in a charming position and provided with all modern comforts (satellite TV, Internet connection and billiard table, just to make some examples): a villa in Florence is the right solution if you are willing to spend one or more weeks in what everybody considers the cradle and political, cultural and artistic capital of the Renaissance. 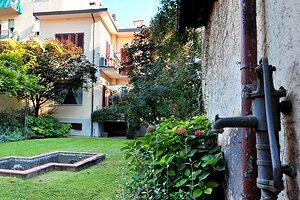 You may choose the villa in Florence with a private swimming pool in the surrounding park, or the one divided into various independent apartments accommodating up to 24 tourists for you to spend your holidays with your relatives and friends. 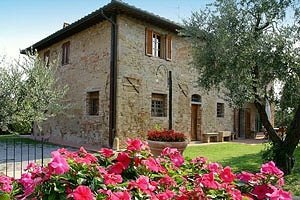 It will be a pleasure to leave your holiday villa in the morning after an excellent Italian breakfast made of a foamy cappuccino and a croissant and visit the Uffizi Gallery , Ponte Vecchio , the Basilica of Santa Maria del Fiore (Florence Cathedral) , Palazzo Vecchio and all the other Florentine jewels . And if you are a "fashion victim", via de` Cerretani, via dei Calzaioli, via Roma, via Por Santa Maria and the other florentine shopping and high-fashion streets are waiting for you. 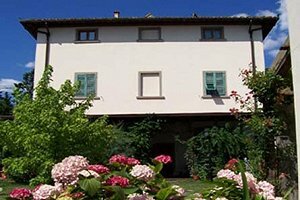 Go on browsing this page and look at the villas in Florence our staff have selected in the five Florentine districts and in the surrounding countryside . 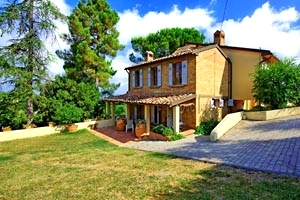 Luxury villa for vacation in Empoli countryside, in Certaldo (Florence). 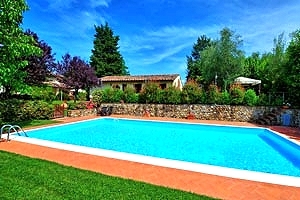 Sleeps 18/20, wide park, heated swimming pool, Internet connection, air conditioning, hydromassage, magnificent panorama. 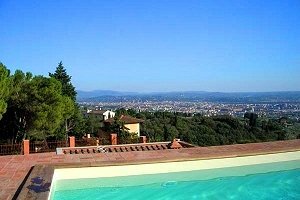 Elegant and charming Tuscany villa with swimming pool atop a hill a few kilometres from Florence Cathedral. 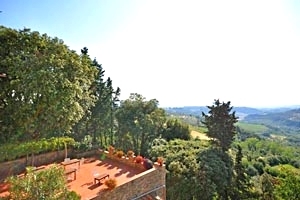 Sleeps 16, breathtaking view over Florence, Internet connection. 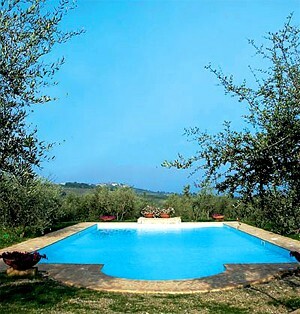 Luxurious villa in Empoli countryside, between Volterra and San Gimignano, in the centre of Tuscany, in an equidistant position between Siena, Florence and Pisa. 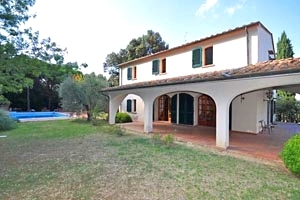 8/10 sleeping accommodations, swimming pool, garden, children`s playground, Internet connection. 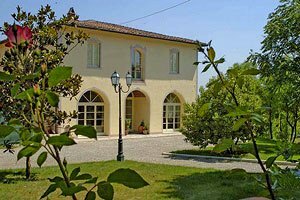 Elegant luxury villa in Certaldo (Florence), in Empoli countryside. Sleeps 15, wide garden, swimming pool, Internet connection, barbecue, air conditioning. Tennis club and riding stable within a few kilometres. Possibility of purchasing the wine and olive oli produced in the farm. 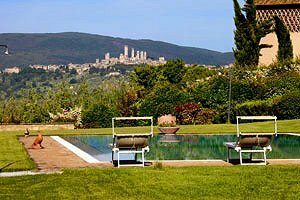 Elegant historic luxury villa dating from the 17th century near Impruneta , a small picturesque town in the Chianti countryside, near Florence . 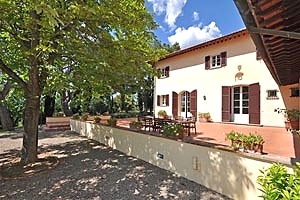 Sleeps 12/16, wide garden, swimming pool, Internet connection, air conditioning, gym, Tennis courts, riding stable and golf club nearby. 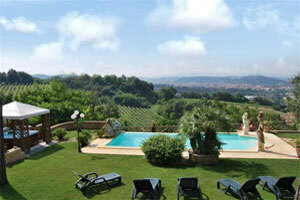 Luxury villa dating from the early 20th century on the hills around Montespertoli (Florence). 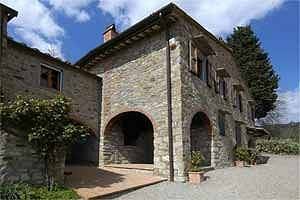 The villa is situated in Empoli countryside, in Lower Valdarno, just a few kilometres from the Florentine Chianti region. Sleeps 8, swimming pool with whirlpool corner, Internet connection, air conditioning and barbecue. Tennis club and golf club nearby. 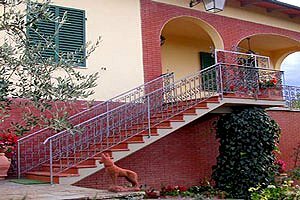 Elegant villa on the hills of Mugello, near Vicchio and a few kilometres from Lake Bilancino, a famous outlet village and Mugello circuit. Florence historic centre is easily reached by train. Sleeps 15, swimming pool, air conditioning, Internet connection, hydromassage. Golf club within a few kilometres. 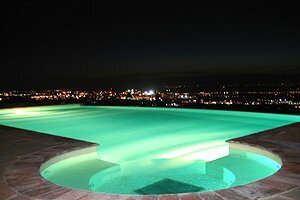 Possibility of organising cooking lessons and dinners at the villa. 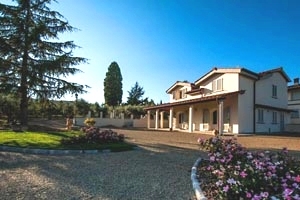 Elegant villa in Florence countryside, near Gambassi Terme. 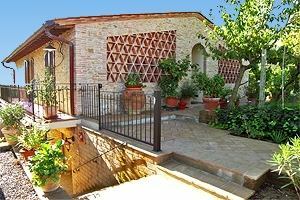 The villa commands the typical Tuscan hills covered with olive groves and vineyards. 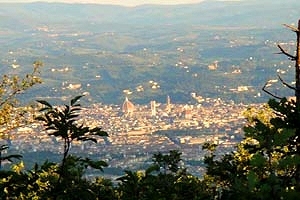 Florence historic centre is easily reached with public transport. Sleeps 8, swimming pool, hydromassage, Internet connection. 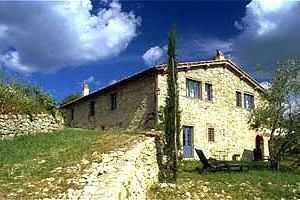 Ancient 13th-century farmhouse situated in the Natural Park of Monte Morello. 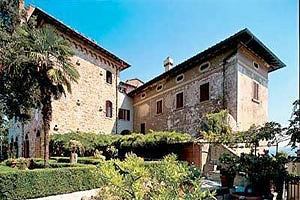 Built between 1015 and 1272, it was part of a farm belonging to the Reverend Nuns of San Salvi. 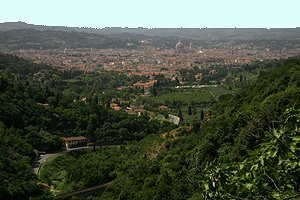 The park of the villa covers a surface 80,000 square metres and includes one of the most ancient water springs in the Florentine hills. Sleeps 11+2, panoramic swimming pool, hydromassage, Internet connection, table-tennis table. Tennis club, riding stable and golf club nearby. 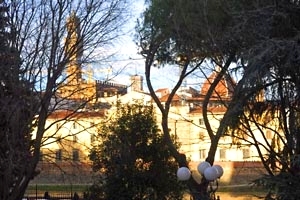 The villa is just a few kilometres from Florence historic centre. 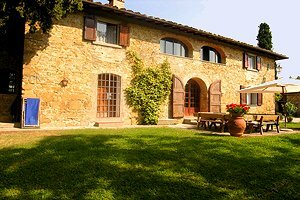 Beautiful independent villa in the heart of Chianti Classico, near Greve in Chianti, in the province of Florence. Sleeps 8, swimming pool, wide outdoor space, barbecue. Wonderful panorama. 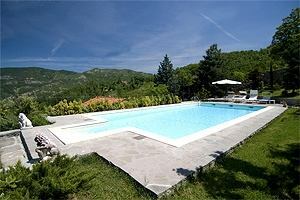 Comfortable and elegant villa with private swimming pool on the Florentine hills, near Montespertoli. Sleeps 10, beautiful garden, Internet connection, hydromassage, table tennis table, billiard table. 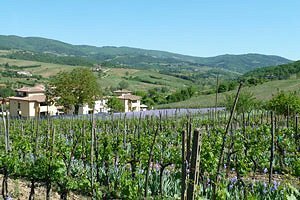 Just a few dozen kilometres from Florence and the Chianti area. 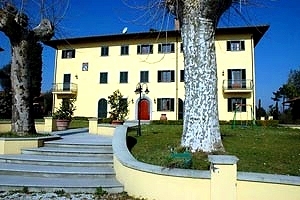 Elegant country house on Florence hills, near the village of Montaione (Florence). Sleeps 14, wide fully fenced garden, swimming pool, Internet connection, wood-burning oven. Beautiful view over the surrounding countryside. 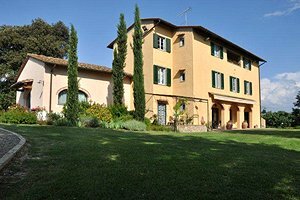 Ancient, welcoming and luxuriously renovated villa (formerly a farmhouse) situated in scenic location just 7 kilometres from Florence. Sleeps 8, swimming pool, hydromassage, Internet connection, private tennis court. Golf club within a few kilometres. 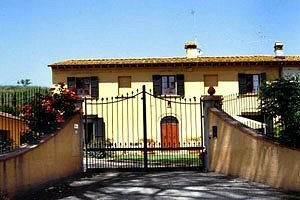 Magnificent portion of a villa situated in one of the most exclusive areas of Florence, whose historic centre is just a few kilometres away. Sleeps 10, swimming pool, outdoor whirlpool bathtub, Internet connection, air conditioning. Wonderful panoramic views. 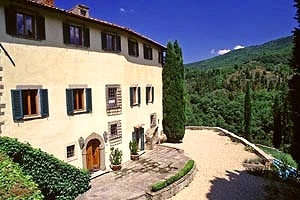 Tuscany villa for vacation rental in Panzano in Chianti, in the Chianti district, in the countryside around Florence. 10 sleeping accommodations, swimming pool, mountain bikes. 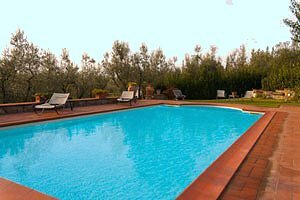 Tuscan villa with pool near Radda in Chianti in the countryside of Chianti between Siena and Florence. Sleeps 10, Internet connection. Villa in San Polo in Chianti, near Florence. 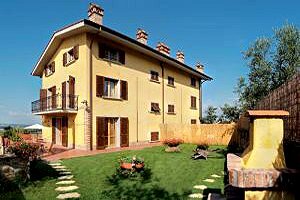 6 sleeping accommodations, panoramic terrace and swimming pool. 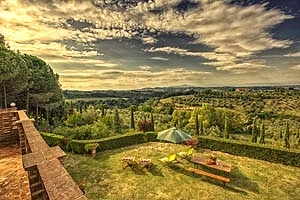 Country luxury villa in San Polo in Chianti near Florence. 10+2 sleeping accommodations, swimmming pool. 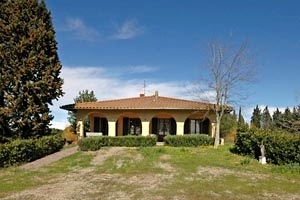 Holiday villa for rent in Castelfiorentino (Florence), in Empoli countryside. 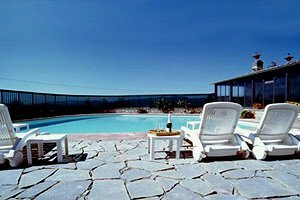 10+2 sleeping accommodations, swimming pool, accessible to disabled people. 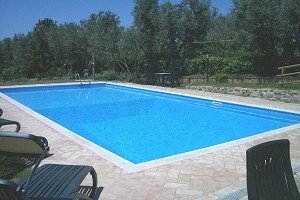 Villa rental with swimming pool for holidays near Montespertoli in the countryside of Empoli (Florence). Sleeps 12+2 , hydromassage, panoramic view, Internet connection. 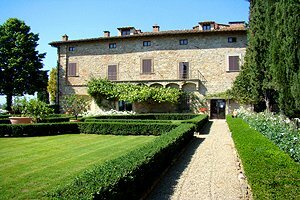 Beautiful villa in Barberino Val d'Elsa historic centre, between Florence and Siena, in the Chianti region. Sleeps 16, wide garden, swimming pool. Wonderful panoramic views. 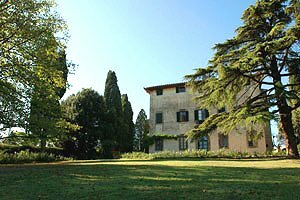 Historical Italian villa between Florence and Pisa, close to San Miniato, in Empoli countryside. 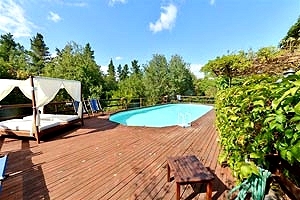 8+2 sleeping accommodations, Internet connection, wide garden, private parking and private swimming pool. Horseback rides, visits to a chocolate maker and a dairy with tasting experience, white-truffle hunting. 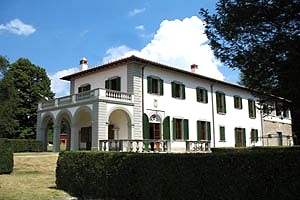 Villa with wooded park in Montaione (Florence), in Empoli countryside. Sleeps 12, swimming pool, solarium, air conditioning, Internet connection. 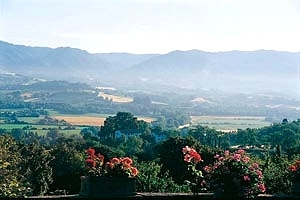 Thermal baths, tennis courts, golf club and riding stables within a few kilometres. 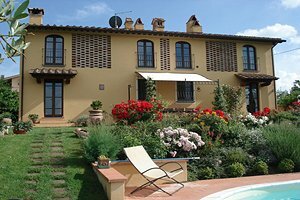 Holiday villa with swimming pool for rent between Castelfiorentino and Gambassi Terme, in the Tuscan countryside around Empoli (Florence). 9 sleeping accommodations, panoramic terrace, satellite TV, barbecue, air conditioning, Internet connection. 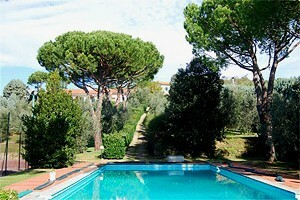 Villa with pool in Montaione, in Empoli countryside, between Florence and Pisa. 6 sleeping accommodations, satellite TV, barbecue, air conditioning. Small animals admitted. 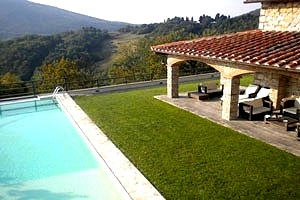 Villa with pool in Martignana (Empoli), in the Tuscan countryside near Florence. 14 beds, wireless Internet connection. 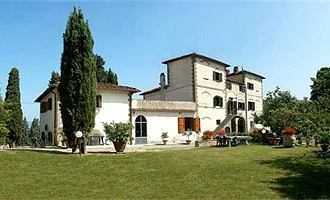 Villa in Empoli countryside, near Florence. 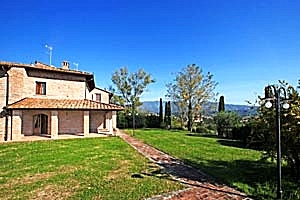 The villa is close to the small village of Montelupo Fiorentino. 9 sleeping accommodations, tennis court, panorama. 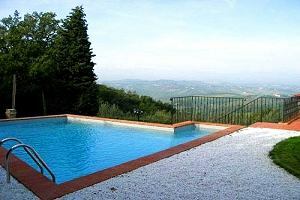 Vacation villa with swimming pool in Tuscany near Montespertoli, in Empoli countryside, a few kilometres from Florence. 10 sleeping accommodations, barbecue, satellite TV. 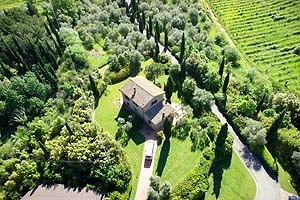 Holiday villa in Montespertoli, in Florentine Chianti, between Florence and Siena. 8/11 sleeping accommodations, fully enclosed garden, hydromassage. Trekking routes in the surroundings. 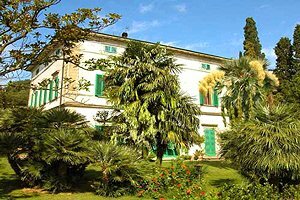 Ancient 19th-century villa close to Vinci, in Empoli countryside, not far from Florence. Swimming pool, Internet connection, sleeps 11+1. 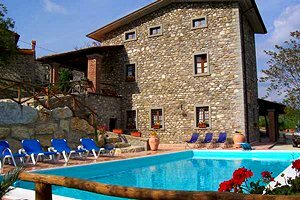 Beautiful villa on the hills of Upper Valdarno, near Figline Valdarno and a few dozen kilometres from Florence and the Chianti Classico region. Sleeps 7, swimming pool, Internet connection, wood-burning oven. 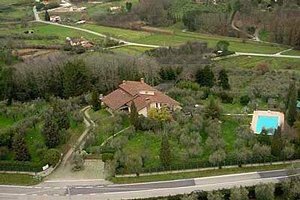 Two villas immersed in the green Chianti countryside, about 400 metres from the famous square of Greve in Chianti (Florence). 6/10/16 sleeping accommodations. Two swimming pools, Internet connection. 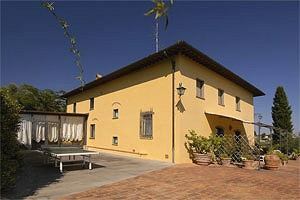 Villa with pool near Cerreto Guidi, in Empoli countryside, between Florence and Pisa. Sleeps 6+2, wide garden, air conditioning, Internet connection, barbecue. 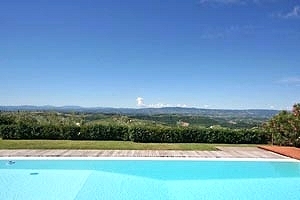 Elegant luxury villa standing in panoramic position on a hill in Valdarno. 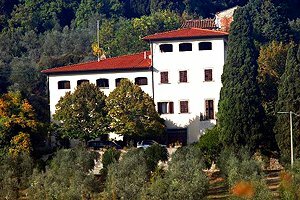 The villa is located near the small village of Reggello (Florence). Sleeps 13, swimming pool, Internet connection. Riding stable and tennis club nearby. Yoga, painting and ceramics lessons. 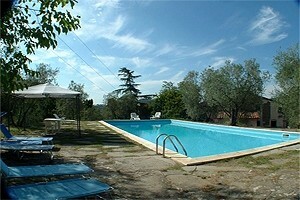 Villa with swimming pool for rent in Castelfiorentino (Florence), in Empoli countryside. Sleeps 8, barbecue, wi-fi Internet connection. Riding stable, golf club and spas within a few kilometres. 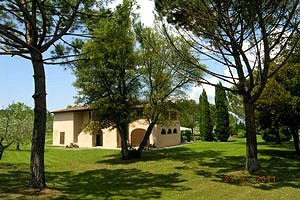 Villa in Vinci (Florence), in Empoli countryside. Sleeps 8+1, garden, swimming pool, panoramic terrace, toys for children, air conditioning. 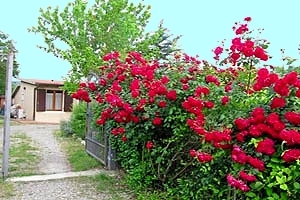 Tennis club, golf club and riding stable within a few kilometres. 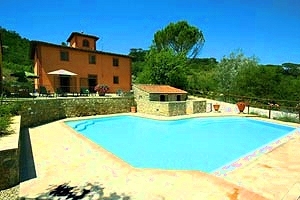 Villa with swimming pool in the Chianti region, in Tavarnelle Val di Pesa (Florence). Sleeps 4+2, Internet connection, air conditioning, children`s toys. Tennis courts and riding stable nearby. 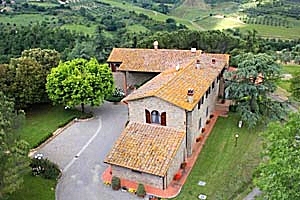 Elegant villa between Florence and Siena. 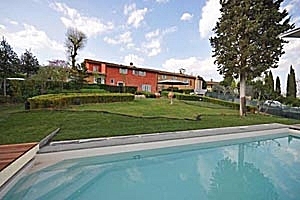 Panoramic position, swimming pool and Jacuzzi hot tub in the garden, air conditioning, Internet WI-FI connection. 8 beds. 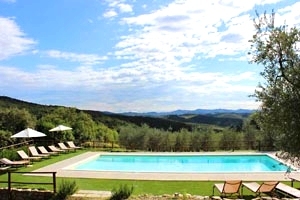 Beautiful villa on the hills of Chianti Classico, between Siena and Florence, near Castellina in Chianti. Sleeps 12, panoramic swimming pool, barbecue, Internet connection, air conditioning. Gorgeous views of the surrounding countryside. Possibility of purchasing the olive oil and wine produced in the farm. 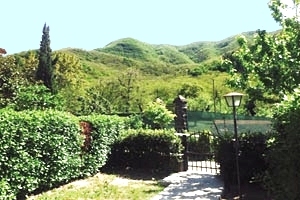 Villa with swimming pool in Lower Valdarno, near Empoli (Florence), on the hills between Vinci and Capraia e Limite. Sleeps 7+2, wide garden, football pitch, table-tennis table, air conditioning, hydromassage, Internet connection. Tennis courts, riding stable and golf club nearby. 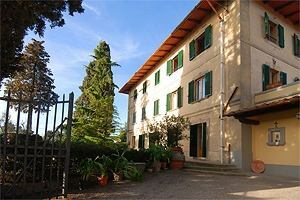 Villa in the Chianti region, in Montespertoli, at a close distance to Florence historic centre. Sleeps 8+1, wide garden, swimming pool, barbecue. 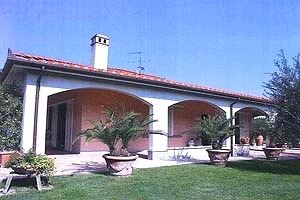 Modern villa 25 kilometres from Florence, in Empoli countryside. Sleeps 8, swimming pool, hydromassage. 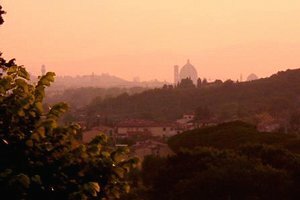 Florence, Pisa and other Tuscan tourist destinations within easy reach by car and train. 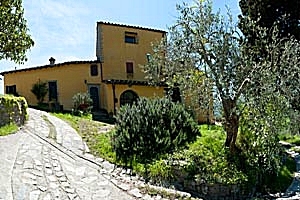 Cosy villa in Upper Valdarno countryside, near Reggello. Sleeps 10, swimming pool, air conditioning. 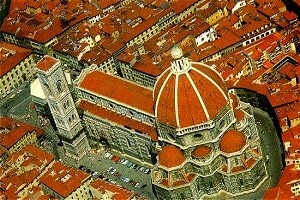 Florence historic centre within a few dozen kilometres and easily reached by car and by train. Outlet village nearby. 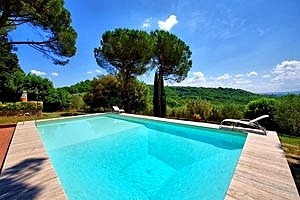 Beautiful independent villa with pool situated in a 100-hectare farming estate on the hills surrounding the lovely village of Vinci (Florence). Sleeps 10, air conditioning, barbecue equipment, billiard table, Internet connection. 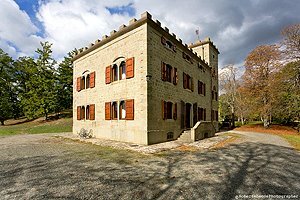 Possibility of organising dinners with traditional Tuscan menu. 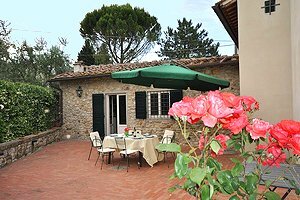 Beautiful independent villa in panoramic location in Florentine Chianti, just a few kilometres from Florence historic centre. Sleeps 12, swimming pool, hydromassage, children`s playground, Internet connection, air conditioning. Possibility of organising cooking lessons. 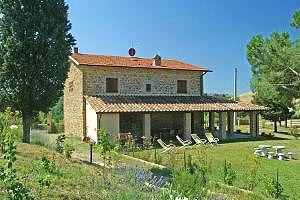 Beautiful independent house with swimming pool in panoramic position offering splendid views of the Tuscan hills and the towers of San Gimignano. 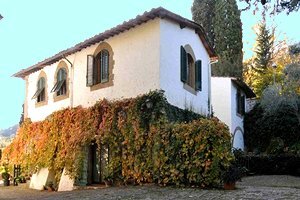 The small villa is located in the province of Florence, near the charming village of Tavarnelle Val di Pesa. Sleeps 4, air conditioning, hydromassage, Internet connection. 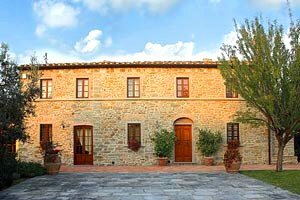 Charming villa in the Chianti countryside, in Tavarnelle Val di Pesa, halfway from Florence and Siena. Sleeps 6, fenced private swimming pool, Internet connection, table tennis table. 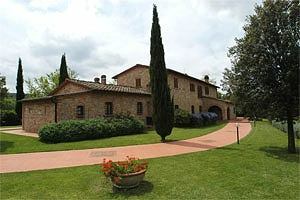 Luxury villa situated in San Donato in Collina, a few kilometres from Florence historic centre. 14/20 sleeping accommodations, Internet connection, swimming pool, wide park, panoramic terrace.